Teak wood ( Tectona Grandis) has been used in the boat building for over 150 years and is used for outdoor furniture a lot due to its high oil content. This gives Teak great resistance to weathering as well as pest invasion. Over time Teak will turn to a silver-grey color which can be readily seen on the decks of yachts. It is very strong and makes fine Hair Sticks as it is usually just finished by buffing and waxing. 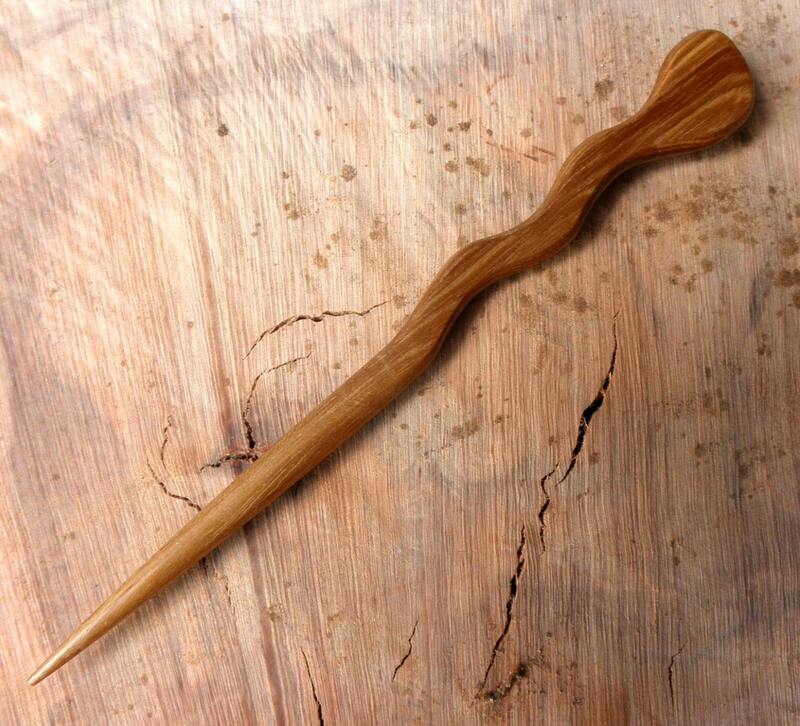 One of the best things about using Teak for hair Sticks is the variety of grain patterns and colors that you come across. Tans with dark stripes are easy to find and the grain though mostly straight can be found in very interesting designs. 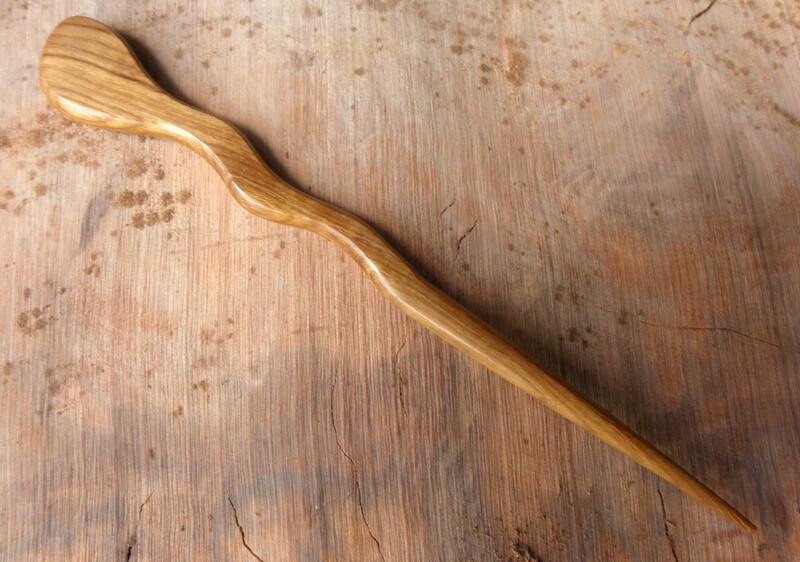 Teak is truly beautiful and you will be happy with these sticks. This Spiral Hair Stick is 6 inches long and undulates from 1/2" at the top down to a point. 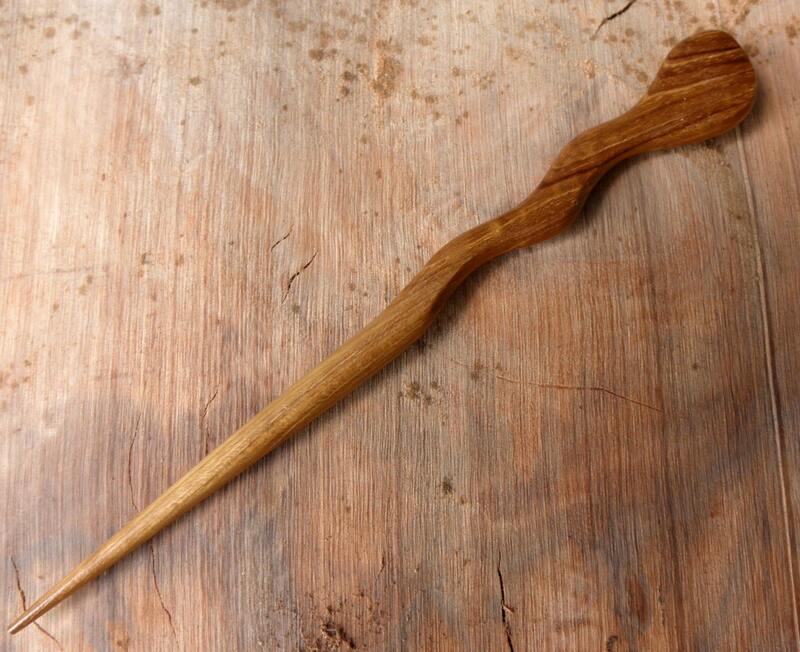 The Stick is about 1/4" in thickness , a tan to deep brown color and and able to hold lots of hair securely. I make Similar Spiral Sticks out of many species of wood and this Teak Spiral Stick is as strong as any of the hardwoods I use with the exception of Ebony and the Hardest of the rosewood Varieties..
As a matter of caution some of the sticks will be sharper then some people like and I therefore recommend that you blunt the tip with an emery board to the degree of sharpness you want. Beautiful hairsticks that are sturdy, don't catch my hair, and keep a good hold all day. They arrived quickly, too! Arrived fast and exactly as described. Love it. 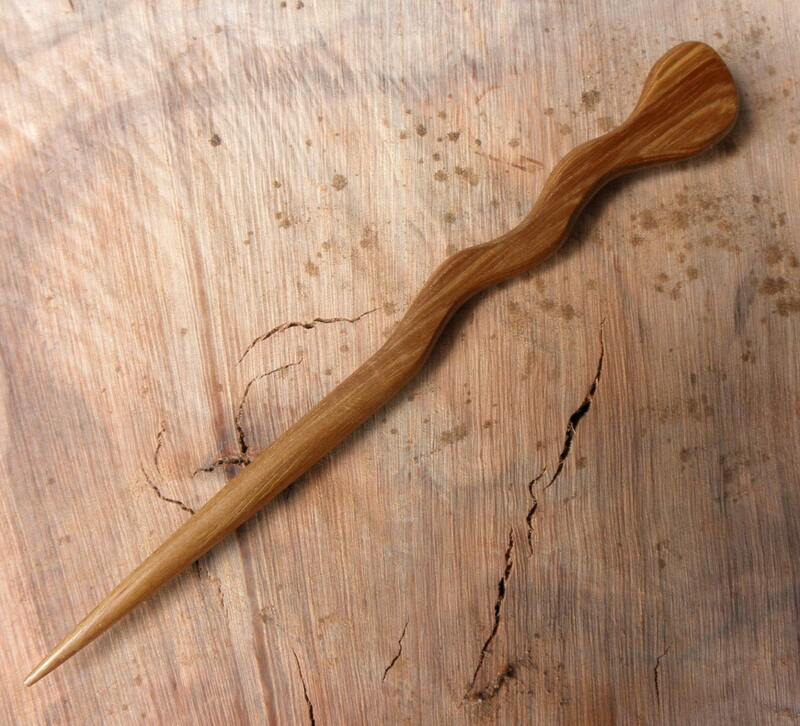 Very pretty hair stick. Will be used and loved! 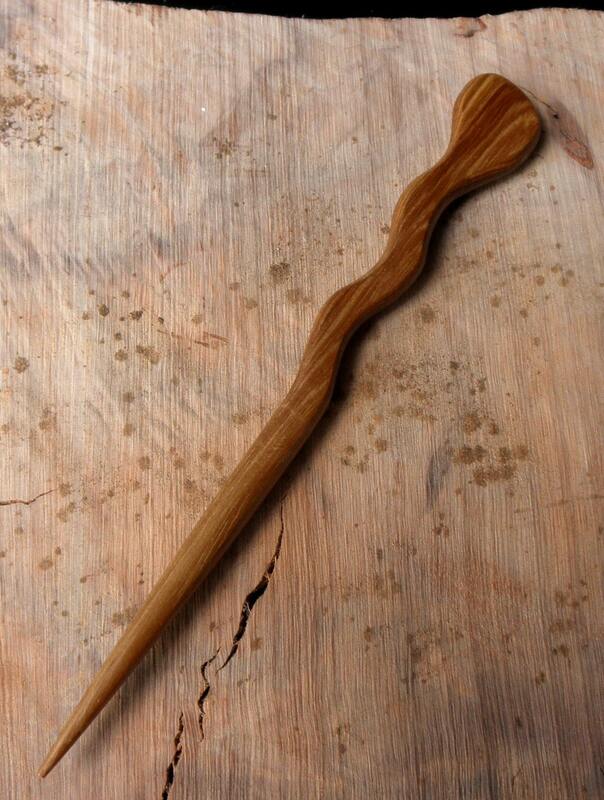 This is a beautiful hairstick. I've purchased from this shop in the past, but this is definitely the best stick I've ordered. (The others are great, but I really like the shape of this one.) The wood grain is also beautiful. Thanks so much! I will order again.